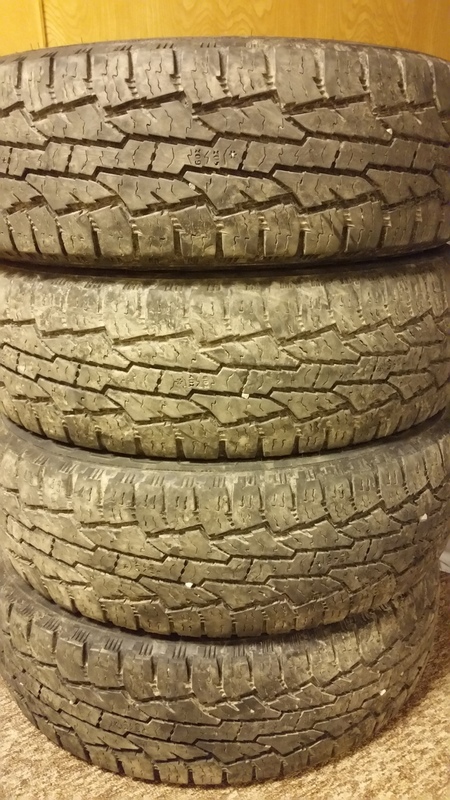 I have 4 Nokian Rotiiva AT tires for sale. M+S with snowflake, 245/70R17, load range E. 60% tread. $175.